In terms of social media, what does good look like? How can it deliver against your organisational objectives? How should your organisation embrace enterprise social? How do I manage the risks of social media? In this Executive Briefing we attempt to explain the critical building blocks that you need to put in place to ensure social media delivers real business benefits across your organisation. 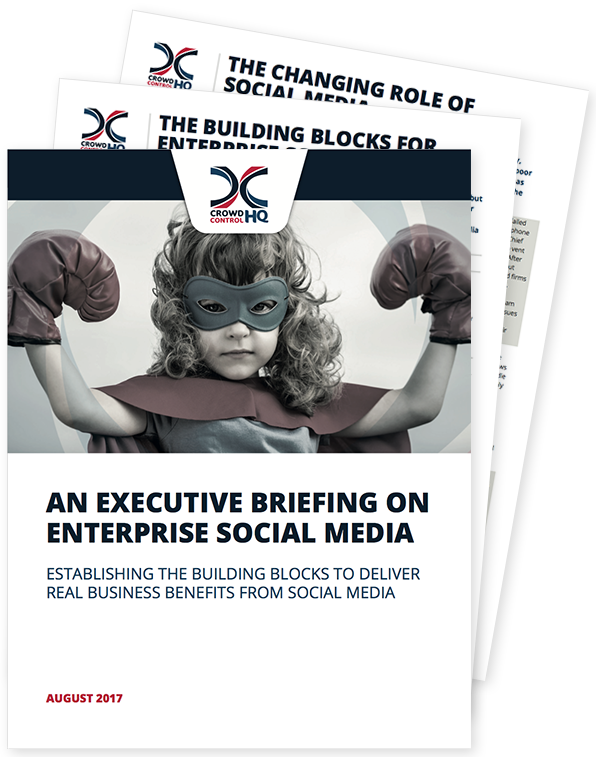 Download the Executive Briefing now to learn from the mistakes made by others, and understand what building blocks are required to deliver successful enterprise social media. Complete the form now to download the executive briefing.